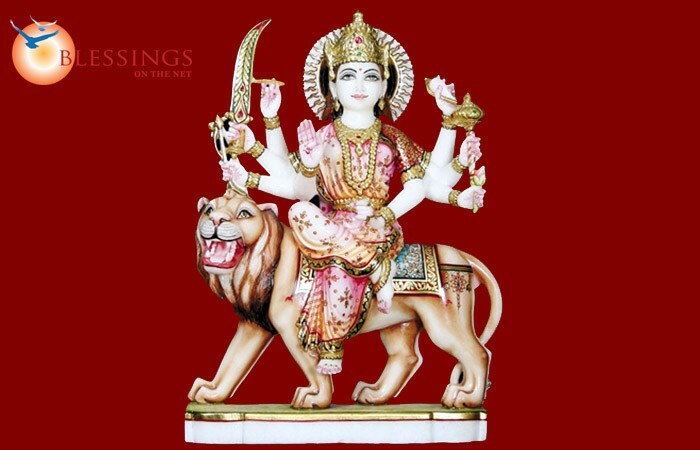 Durga Mata Statues are the unique statues designed and offered by our company. 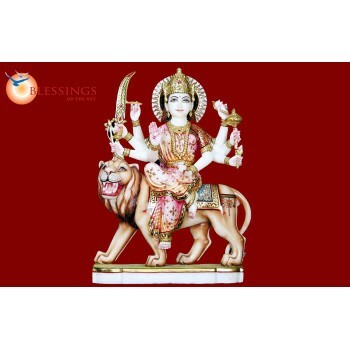 The ultimate finishing work, perfect cutting and dimensional accuracy are some of the features of Durga Mata Statues. Moreover, the Durga Mata Statue is made from the finest quality Raw Makrana Marble stone meticulously. Further, our creative artisans develop the Durga Mata Statues from latest methods and these are known for excellent finishing. These Durga Mata Statues are elegantly built and are customized and packaged to suit clients’ desires.